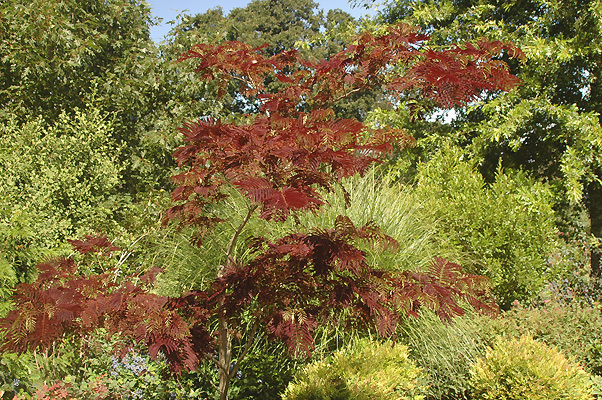 Broadleaf deciduous tree, 20 ft (6 m) tall to 15 ft (4.6 m) wide, vase-shaped with domed crown. 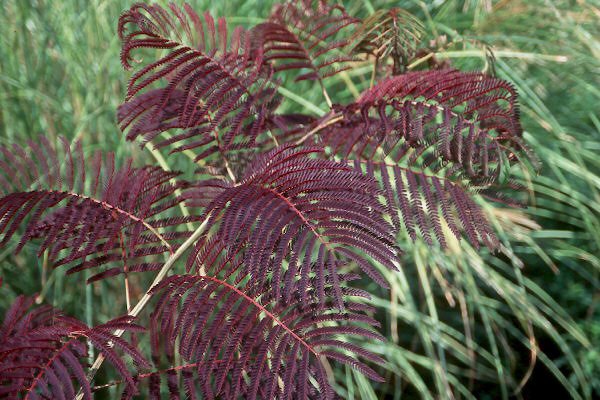 Leaves emerge green, then become dark red and by summer reddish-bronze or brown. Flowers are pinkish. 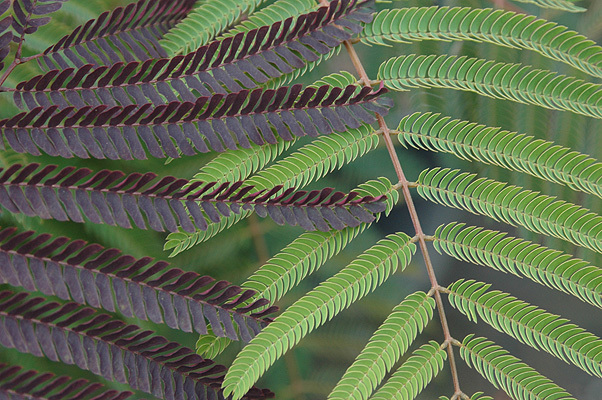 Hardy to USDA Zone 7 Found in 1990 as a seedling in a planting of Albizia julibrissin in Kawaguchi City, Japan by Dr. Masato Yokoi. The patent (US PP13,822, May 22, 2003) for this selection, ‘Summer Chocolate’, has been assigned to Hines Nursery, Irvine, CA. Silverton, Oregon: The Oregon Garden (Hines Nursery area).